Kilauea has which kind of magma? Hot, melted rock that is underground is called . An underground holding pool for hot magma is called a . What is lava called before it bubbles to the surface? Silica is the main ingredient in magma. Rhyolitic magma is usually explosive. 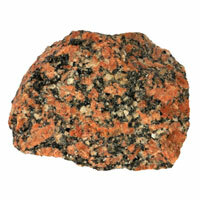 Magma forms this type of rock. What are features formed by magma? The rock shown forms in Earth. It starts as magma. Magma is melted rock. The magma cools. When the magma fully cools, it becomes a hard rock. Is this an Earth event that happens slowly or quickly? What part of the hydrosphere penetrates the geosphere? Which one of the following is not a layer of Earth? Rocks are solid mixture of . What is the name of the super continent? Hot, liquid rock that is found in the interior of Earth is called .